Marquelle is a native of Johnsonville, North Carolina, a small rural town about an hour from the state’s capital. 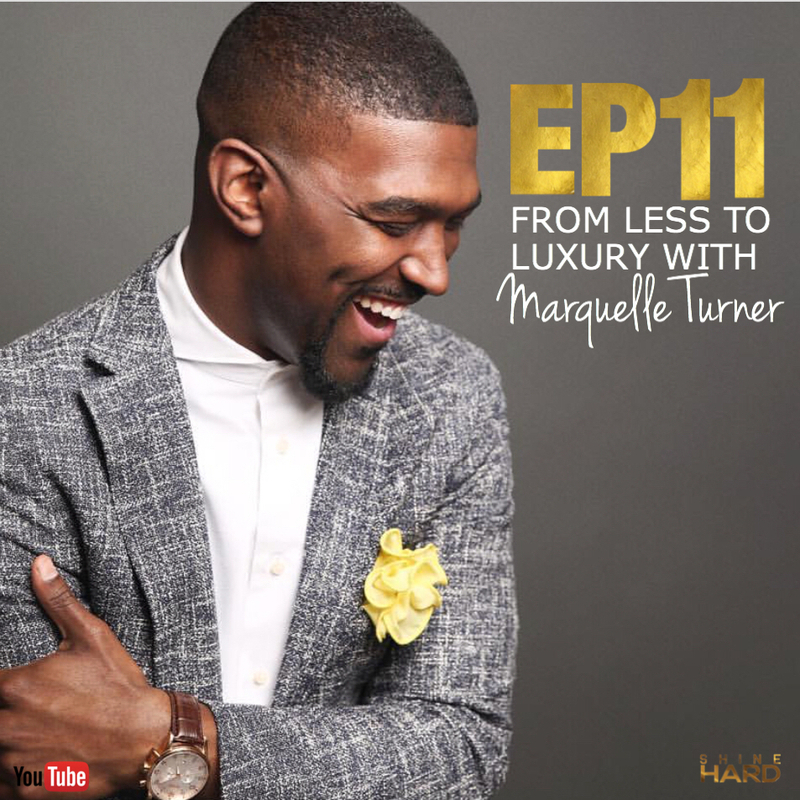 Currently, Marquelle lives in Qatar, the world’s wealthiest country per capita GDP, and is the Men’s RTW Buyer as a part of a team opening 4 department stores across 3 countries in the Middle East. Marquelle attended Fayetteville State University, where he obtained a Bachelor of Science degree in Business Administration with a concentration in Marketing. 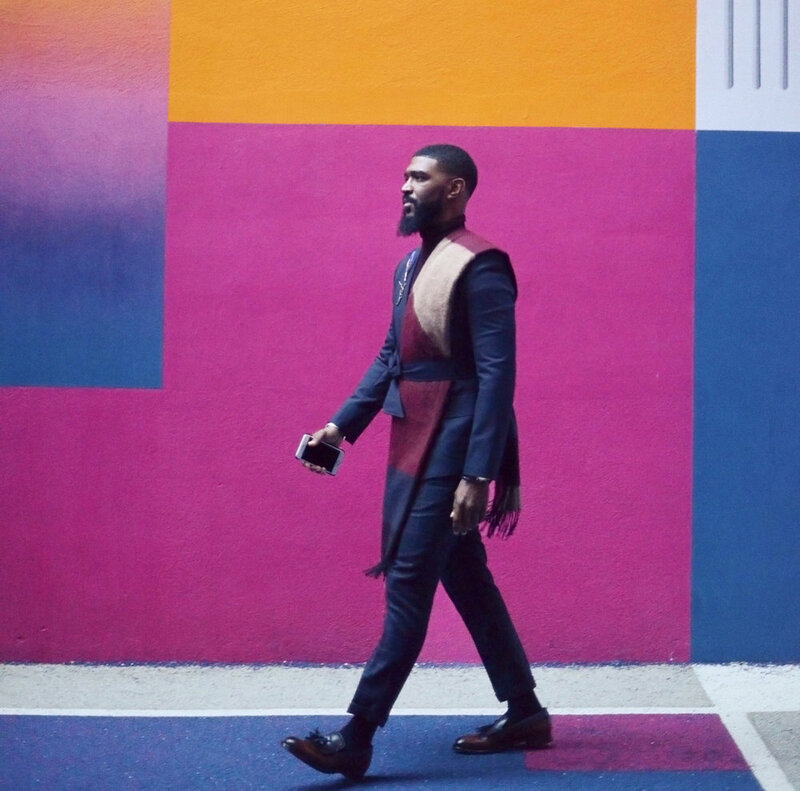 After graduating, he worked for his alma mater helping to facilitate underserved communities matriculation from high school to post secondary education before realizing his passions were deeply rooted in fashion and luxury. In the fall of 2013, he enrolled in a dual-degree global luxury management graduate program split between NC State University (Raleigh, NC) and SKEMA Business School (Sophia Antipolis, France), where he studied the luxury industry from a global perspective and was able to travel through Europe’s major fashion markets for research. Upon graduation, he accepted an Assistant Buyer role with HUGO BOSS Americas, which supported over 100 points-of-sale for the United States, Canada, and Mexico before being recruited to his current post. Marquelle is passionate about living a life of liberation and 3 –cheese (at a minimum) mac-n-cheese. What has growing up like for you? Marquelle: I’m from a very small rural town in North Carolina called Johnsonville. To provide a little bit of perspective, there were absolutely no stop lights. It’s super small. My last name is Turner-Gilchrist and I grew up on Gilchrist Road. My grandfather was a preacher at the local church. I grew up in a single parent home with just me, my mother and my sister and I actually grew up in the house that my mother grew up in. I was pretty poor and I was a product of government assistance- food stamps, WIC, all of those things. Public programs were my saving graces. I don’t say that to sound negative or anything. It was great for me growing up in a small town because what it lead me to do in the future was found there. Growing up, it was extremely difficult for me because childhood is tough and I remember at a super early age having this love for fashion and creativity and although at the time it seemed like a headache, it became a blessing for me. It allowed me to blossom into my creativity. There was one time I remember in particular where I had these overalls and I would wear them three times a week and I would challenge myself to find a different way to wear them- whether it be out, crisscrossed, tucked in, or whatever I had to do. There were many challenges to it, it allowed me to develop my creativity and to be a big dreamer. My mom didn’t even graduate from high school so often times I would read her mail for her and help her understand all these things. It really forced me to grow up early. When you were a kid, what did you want to be when your grew up? Marquelle: My first love, which is still a first love to me before I even knew what love was, was to be a singer. I was set on being the next Usher and it was set in my head. Do you remember the Usher song “Yeah?” In that video, he wore a white Atlanta hat to the side and I wore a white Atlanta hat to my prom. People knew me for singing in the hallways at school/ I changed to fashion obviously later on but that was my first love. How did you get your career started in fashion? Marquelle: For undergrad, I went to a small HBCU in North Carolina called Fayetteville State University and for graduate school I did a dual degree program split between North Carolina State University in Raleigh, and SKEMA Business School in Sophia Antipolis, France, which is in the south of France, very close to Monaco, Nice, and Cannes. I studied Global Luxury Management there which actually led me to what I’m doing now. I didn’t discover fashion could be a career for me until after I graduated from college. I was in a modeling troupe in undergrad and in high school I won the “Best Dressed” superlative, so I thought of it more so as a hobby or something was a creative expression. After I graduated, I started working and I found out that what I was doing wasn’t something I was passionate about. It didn’t fulfill me. I was in all these small fashion projects on the side from blogging to styling and I knew that there was a real opportunity there. These things kept getting thrown at me even without me asking or seeking them. I thought “Maybe this is the Universe pointing me in the right direction.” I was working at my university and I decided to quit one day. I was working for a bridge program that helped low-income students progress into college and then I ended up working in Student Affairs helping students prepare for the workforce. I took a sales associate role. I gave up my salary and my benefits to work at a retailer so I could start from the bottom if I had to. That’s how my journey began. It was Saks Fifth Avenue in Raleigh, North Carolina and $10/hr was my pay. Whatever it took because I was really willing to grind at that point. what were your next steps After Saks Fifth? Marquelle: It’s crazy because I didn’t plan these steps. They were ordered for me. That sounds super deep, but they were ordered for me. While I was working there, there was a woman by the name of Cara Fratto. She was my mentor and she worked as the Marketing Director and she invited me to go speak with her at a small function at NC State University for these graduate students in the luxury program. Me going there piqued my interest because I’d always wanted to go and live in France and I studied French in high school. They basically recruited me into the program, I got in, studied for the year in North Carolina and also in the south of France, and everything went from there. whats it like being a Men’s Buyer at Ali Bin Ali and the cultural experience? Marquelle: Before getting to this point now, after I came back from graduate school, I moved here to New York. I was working a job in upstate New York and I was fired. I had the choice of either going back to North Carolina or taking my chances here. I moved here with no money, and just packed everything into my car and was like, “Look, I’m going to make it work.” The first few months, I was without a job and I just made sure I had enough money for food and haircuts. Those two things were my priority. I stayed at home on the couch but I had my hair cut. After working here for a few years, I got recruited to my position now where I’m working with three different proprietors. The company I work for, Ali Bin Ali, has a franchising agreement to open up Galeries Lafayette, which is a Parisian department store. I oversee menswear. 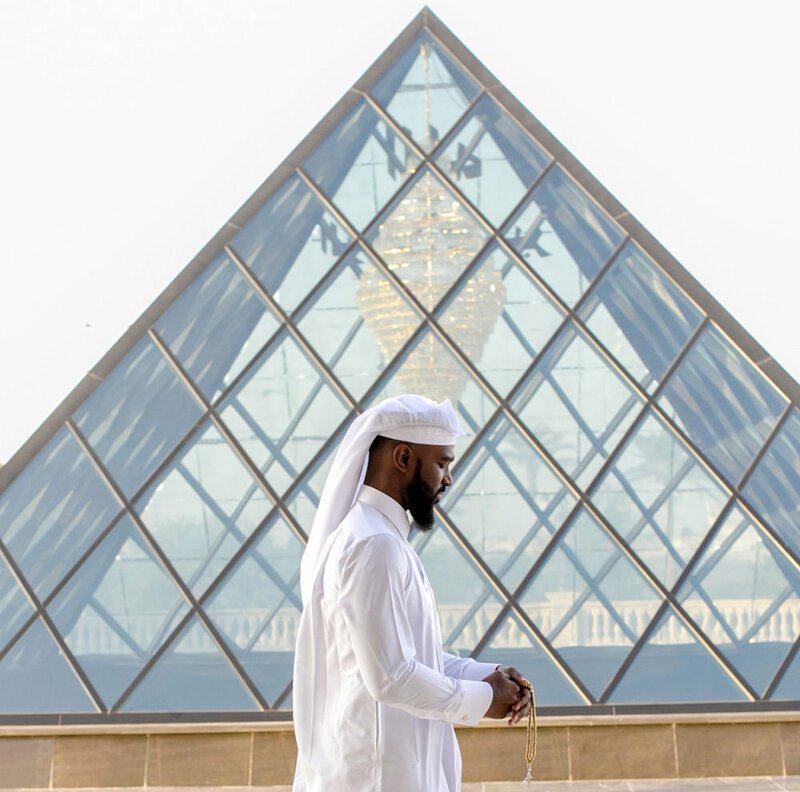 What we’re doing is working with Galaries Lafayette in Paris, with Ali Bin Ali, and the Royal Family in Qatar because it’s a Royal Family project. We have to make it great and it has to be perfect. For the past year or so, I’ve spent traveling all over the world from Paris to Lebanon to Copenhagen trying to find the best products to bring to the store because Qatar is, by statistics, the wealthiest country in the world so it has the highest concentration of millionaires per capital GDP. We want the best and they can afford the best. I’ve been spending my time making sure they enjoy their experience when we finally open. When someone comes into the men’s department when we finally open, I would have answered many questions the first being, “What do I see?” so “What are the products? Who are the brands?” from luxury to advanced contemporary up until “What will I feel? What will I experience?” and that’s anything from the lights to the fixtures on the furniture, to the scents and the music. I have a hand in everything, literally building the department store from an empty box. What are some mistakes you see people make when trying to get into the industry? Marquelle: I can tell you the mistakes I made and I see a lot of people doing the same thing. It’s being so strict on one path that they ignore any different path that would lead to the same destination. I was very tough on not wanting to do what I’m doing now. I didn’t want to go through buying. I wanted to do something completely different but it fell into my lap and I’m super grateful that I took the opportunity to do it. Be open. I was so stuck on going to the final destination that I wasn’t enjoying any of the scenery. I was ignoring all the flowers and I wasn’t looking out the window. I was just looking ahead and all these great things were happening beside me and behind me as well because I had to reflect on the things I had been through. I think it’s super important in fashion because it’s an industry based off of two things- relationships and experience. It’s not an industry where you can just get a degree , go into it, and be successful. You have to have the other two components. Here I am a small country boy from North Carolina coming to New York trying to make things work but for me I understood very early on the importance of relationships and cultivating them, and for me that was important. Two of my mentors in particular, who have been so helpful to me, I reached out to via LinkedIn- he was a Senior Vice President at Hugo Boss at the time-and I said, “Hey. I’m moving to New York soon but now I’m in this graduate program that I started a year before I came. I would love to pick your brain and ask you some questions.” He is a Black executive and for me it was important to see people who looked like me. That representation is crucial because it allows you understand that there is a viability for you to do the same thing. Every since then, he has been super supportive. I just saw him in Milan. His name is Kenny Anderson and he is now the Senior Vice President for Giorgio Armani here in New York actually. He’s been amazing. My second mentor who actually helped me decide to take the job I have now is Durand Guion and he is the Group Vice President and Men’s Fashion Director at Macy’s, another Black man that has been helpful. He always keeps me in check. It’s been amazing and I’m truly grateful and fortunate. Just to think three years ago, I was here in New York sleeping on couches every single day trying to figure out what I’m going to do with my life. I have a really blessed life that I’m super grateful for. One of my friends, Charles, told me “Anything could happen tomorrow” and I believe this. The abundance of faith in your thoughts helps you if you keep thinking positive. Who are the people you would have on your Mount Rushmore of Inspiration? Marquelle: The first person is Barack Obama and I don’t even need to list the reasons. As I mentioned earlier, representation is key. Second, I would say Janelle Monae and this is one I really had to think about. I don’t know if you know but she wears black and white often and I always found her as a singer who was full of substance and what’s important to me is to be a man of substance and not just flex on the Gram. I want to be vulnerable and honest about the things that I’ve been through and I think that she does that quite well. The reason why she wears black and white is because growing up her entire life her mother was a maid and she wore a maid’s uniform. So to honor her mother, she finds interpretations of the maid’s uniform. She’s one of the best dressed women ever. Thirdly, I would say my mother, because she taught me and is teaching me even to this day what it truly means to be selfless. I can be quite selfish. Once she had me and my little sister, she put everything she could have thought about and wanted behind and made us the focus. That kind of selflessness is admirable, courageous, and a rarity. Marquelle: Clothing is surface level and I always share with people the difference between fashion and style. Fashion is literally the business of selling clothes but styling is so personal and intimate. It’s how you want to dictate and convey who you are as a person. Right now in this very moment, I’m passionate about two things. The first thing is seeing many more people that look like me in the fashion space because there’s not a lot of us. If you’re aware about what it means in terms of fashion trends and pop culture, we have a large part of that. We’re not always a large part of those conversations and we don’t always have a seat at the table. I’m super passionate about allowing other people to see me, to be open to questions or any kind of advice they would need from me to get into this space. The second thing I’m passionate about is Black men living life in liberation. What I mean by that is, I think we operate in a super hyper masculine complex where any sign of emotion or weakness means you’re soft or they relate it to a sexuality or anything that might be perceived in a negative light. I’m passionate about being vulnerable and allowing people to see chillin’ or in a moment where I’m weak or I’m being very direct and honest with people like, “I love you, how is your day going?” We don’t do those things enough because we’re always forced to be tough. There’s a book I read a few years ago called "A Return to Love" by Marianne Williamson and it’s one of the best books I’ve ever read. She’s talks about when we were born the world is teaching you “You’re not good enough. You’re not handsome enough. You’re not pretty enough. You’re not fast enough.” So we really don’t take the time to appreciate who we are and how we develop. I want people to know, in particular Black men because I identify with that, that’s its okay not to operate in this strict structure of what society places on you. If you don’t like trap music, that’s cool. Personally, I like trap music but if that’s not your thing, that’s okay. It’s okay to like rock, to be a geek, or to code, or to like travel. Whatever you want, it’s okay to do those things. I want to help embody that as much as I can. Marquelle: Not showing appreciation for what our ancestors went through to get us to this place. We are able to do this because of a very long fight that other people fought for us before and I don’t think we always appreciate that. Even me. Marquelle: The biggest challenge has been on the surface level but it’’s people expecting me to only know a certain amount about fashion. I had a meeting for a swimwear brand when I first started my job and the lady said, “Are you familiar with our brand?” and I’m about to be very stereotypical, I said “Actually, I don’t know how to swim so I’m not familiar with the brand.” She said, “Most Black people don’t know how to swim." I encounter those things all the time so one of the biggest things is being able to counterbalance the idea of “clapback” professionally but showing the light of “You’re wrong." We have been able to do something amazing things. If you’re familiar with Dapper Dan, Gucci essentially copied his designs from many years ago. I was just looking at GQ magazine and he has a full spread in there. I think it’s important to show us more and helping people understand that we’re doing some amazing things. Even if you don’t want to recognize it, we’re going to create our own lane. Marquelle: It used to be because of where I was from. It propelled me to want to do great things because I didn’t want to go back. I knew if I failed, I had to go back. Yes, my mom would always welcome me back to her home and I would always have a place to stay. But now I feel that a few people watching depend on me. When they see me do things, it gives them a bit of hope so now it’s not even about me. It’s about people who see me traveling and going to these different places and it inspires them to want to travel like, “Oh man, I want to get my passport.” Many people in my home state and even in this country don’t travel outside the country. 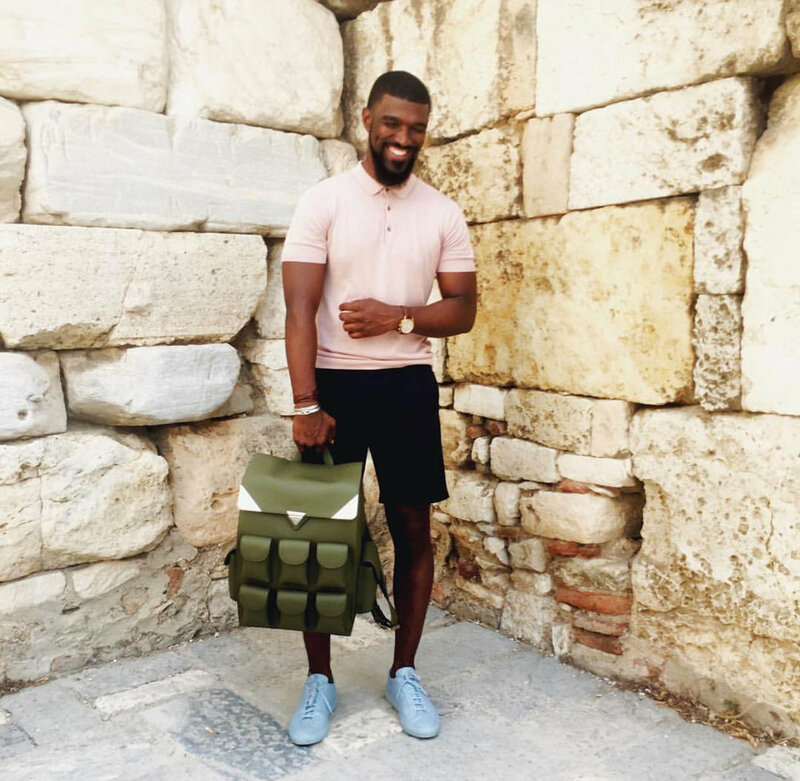 There’s an amazing wave of Black travel and travel in general taking place. I want people to see me doing these amazing things and they attach that representation to themselves and try to go forward and do the same or better. Does everyone have a dream? What separates people that have made their dream a reality from those who haven’t? Marquelle: I think so. I was certainly a dreamer and a hope dealer when I was young. I think it’s insecurity and doubt that separates people. I used to suffer from it. Insecurity and doubt is such a sickness and I used to be super fearful even when I got to New York. I would be like, “I can’t afford it. It’s too cold” but then I countered like, “If everyone else can do it, I can find a way as well.” I did and it’s in the same sense of everyone else wanting to do anything else. You just have to tell yourself, “I’m pretty lit” even when you don’t have a haircut. You have to hype yourself up sometimes and read these positive affirmations and that’s what helps get over these insecurities and doubts. Doubt is a goal killer. I think once you get past that, you can make it. What are the top luxury brands and accounts that you follow right now? Marquelle: There’s a brand by the name of Pyer Moss by this guy named Kerby who is a Black designer based in New York. He created the t-shirt worn by Colin Kaepernick in the GQ spread. He’s amazing and he actually has a hoodie that he created that says, “Stop White on White Crime in 2018” so he is very progressive in his approach to fashion. His representation is free. I follow this brand called OAMC which is a Milanese brand, and I also follow Off White. When I first moved here, I used to be super dapper but being able to travel, I’ve opened up to more street style and its influences on many different things in life. That’s the direction I’m going in now. What advice do you have for young People building their brand? Marquelle: The most important thing is confidence and gut. Fashion buying in particular is part creativity, part art, and the other part is commerce and analytics. What’s most important is you basically have to predict what people are going to buy. You really never know. You have to go into meetings, be authoritative, really have confidence and believe in this train of thought. It’s the same thing for me when I talked about insecurity and doubt when it separates people from dreamers and the doers. In order for me to do my job, I have to be authoritative because everyone challenges “Why this brand?” and I have to be able to exert this assertiveness. I think we need to approach our lives and our careers with the same assertiveness. Knowing your worth is a big part of that. Moving forward and believing that until I get there, believe that I still am that person. Pretend like you know what you’re doing even if you don’t. It’s all about being authoritative and getting people to know that you believe in what you’re doing so that they can buy into your project. When I got into this project, I had no brands on board so I literally had to travel everywhere and convince people to be a part of this project. If I didn’t have that confidence and assertiveness, it wouldn’t have worked out in my favor. Interested in learning more or connecting with Marquelle?